Each applicant receives two complimentary tickets for guests. All others pay the $5 cover at the door. Applicant and models get in automatically. Any application, which in the producer’s sole judgment contains content which is not suitable for display will not be considered. Collaborations will be allowed, any prizes will be awarded to each piece. 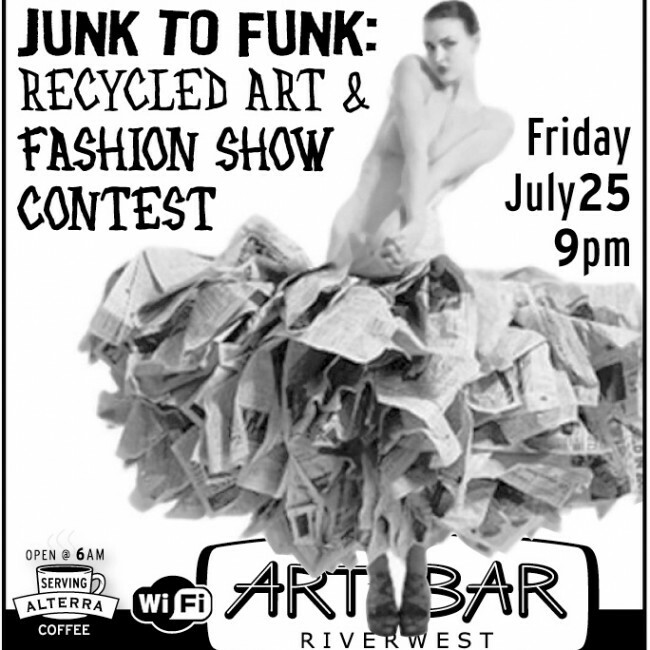 Artist/Models will be responsible for participation in the fashion show rehearsal on July 25th at 3pm. Also all participants need to be dressed and ready backstage at 8pm for the show to begin at 9pm. Please take note that our backstage space is limited. We don’t want to limit creativity but please consider that your piece is stair friendly, and the hallway to the stage is only 3 feet wide. Pieces in the show will be judged by a panel of judges selected by ART*BAR. 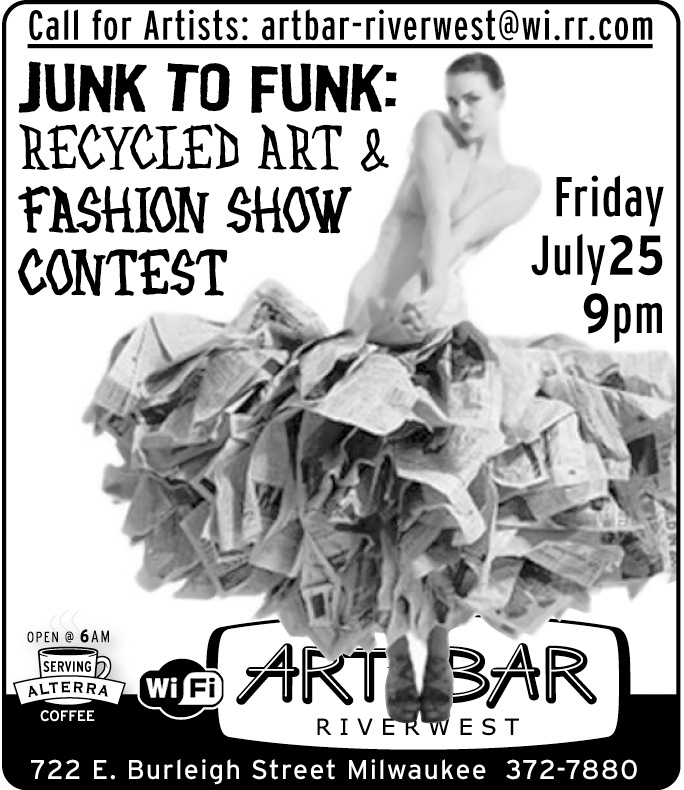 Pieces are judged on 1) percentage of recycled material used, 2) creativity, and 3) craftsmanship. Prizes: One First Place Prize $250, One Second Place Prize $100, One Third Place Prize $50. Prize Money will be awarded in the form of a check in the name of the winning applicant.